Learn why we need money and know ways for emergency funding. 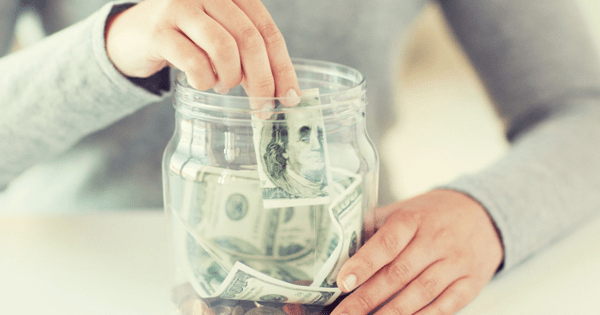 Many people want to know how to save money these days, but it’s important to understand why saving is needed before they can learn. Every one of you and even me need money for many needs such as day to day expenses, emergency fund, medical expenses and so on. From time to time, people have no choice but to borrow money from banks because they haven’t saved for rainy days and that’s where money saving tips can be very helpful. It is even more necessary to learn how to save money in times when the economy is heading into a downward spiral. Under tough situations like when there are no earnings, however, our savings can help us to survive and saving can prove quite challenging. Bad financial times can come at any time, but it is quite easy for people who have money to survive these difficult times. To live a comfortable life today, money has become very important. You can have a lot of choices in your life if you have enough money. Lack of everything is a problem and it can be very frustrating to lack something that is as important as money. It can create many life issues such as depression, illness, poverty, suffering, and arguments. Though money is not the only solution to solve all our problems, money is always helpful to save us. Our finances determine everything in our lives, such as our education, home, where we live, what we eat, what we wear, and perhaps even what kinds of friends we have. So, always find new chances to earn money through all possible means to live a standard life. 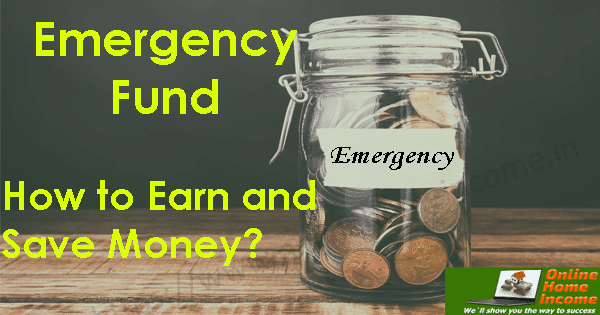 An Emergency Fund is described as the funding source that is maintained by saving money for a particular period of time only for emergency purposes. Today every people may face a kind of emergency situation in our day to day activities without limitation. vi.) Situations to handle during unemployment. All these contribute to an emergency situation and we should be backed up with enough money to overcome these situations or we may fall into large trouble. Because no one knows when we fall into an emergency situation (a few mentioned above). At the times, we need money to overcome those situations without creating more burden or troubles. Saving money is a very good practice for everyone and helps you to solve emergency things without relying on credit cards or borrowing high-interest loans. Avoid the habit of taking loans or borrowing cash to handle emergency cases which will create more trouble for us and we will fall into large debt. You should create the habit of saving money for emergency needs according to your financial circumstances (usually 3 – 6 months of normal living expenses). Here, in this article, I will walk with the steps of strategic money-saving plans to cover your emergency fund requirements. Spending money is simply a matter of putting a fixed amount away every week or month before you have a chance to spend it. Make it part of your budget by making regular deposits into your savings or retirement account, and practice a “pay yourself first” approach. The interest you pay on your credit cards is probably much higher than the interest you can earn on a bank account, so getting rid of that debt is even more important than putting money into the bank. Your first priority should be savings, not your last. Make a deposit as the first thing you do every payday in your savings account. Try to deposit 10% of the dollars you earn on a savings account. Another 10% of your earning in investments like Investors Hangout, Stock Market, Systematic Investment Plans etc. Do this over time, and you may well be on your way to financial security for the long term. You can set up an automatic transfer to your savings account from your checking account to make it even easier. 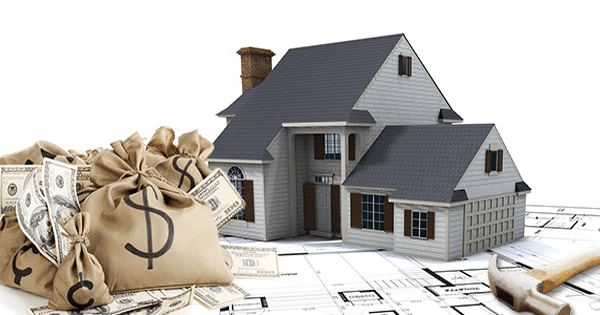 For example, if you want to buy a house within three years, figure out the down payment you will need and start making regular savings deposits to cover it. You can plan a daily goal, weekly goal, and monthly goal to create finance to satisfy your need. You need to save money for many requirements such as retirement, buying a home, education for children. Determine what you need to save, add them, and make every month the appropriate savings deposit. If your money doesn’t stretch that far, your goals may be unrealistic and you’re supposed to consider putting off something. When you discipline yourself to spend less, saving money can be easier. Try to keep a precise budget for one or two months. You’ll be amazed at what you’re spending on incidentals — some of which can be completely avoided if you really look at your needs as opposed to your wishes. Tickets to park? Food in the restaurant? Payments of interest by credit card? High bills for utilities? Search for ways to start pinching pennies and examine your monthly expenses. Credit cards are most convenient when shopping online, paying for an airline ticket or making a reimbursable job purchase. Pay off your credit cards every month to keep your expenses under control. This way, you save on the heavy interest charges and/or fees and still get the convenience of plastic payment. Carrying cash can make spending easier, but putting it in an account of interest checking keeps your money safe while putting it to work for you. And you have the opportunity to make the most of your money on two fronts when used in conjunction with a savings account. 1.) Control your unnecessary expenses: Making a monthly budget is the first step in controlling expenses and saving more money. Know the outflow you have. Once you are aware of your outflow, you will be better able to split it into necessary and unnecessary expenses. To save money, check your unnecessary expense. 2.) Comparison and Bargaining: In India, bargaining is the right of your birth. Recall comparing and negotiating to save money. When selling a product, everyone keeps the extra margin. To save money, you need to know how to squeeze that margin. 3.) Purchase Online: You will find many websites today such as Flipkart, eBay, Amazon where products are available at a lower rate or with cash back offer. To save money, you can opt to buy the product online. 4.) Buy Used Products: Usually, it is not advisable to buy the used product but one of the options to save money to buy the used product in a tight income situation. Online website such as quikr, olx can help you buy used product online. 5.) Buy Generic Products: Use generic product instead of a branded product to save money. The range of branded products is more expensive than the generic product. You can save a great deal of money. 6.) Avoid impulsive purchasing to save money. Before buying that product, avoid spontaneous purchasing to think twice about the product need. 7.) 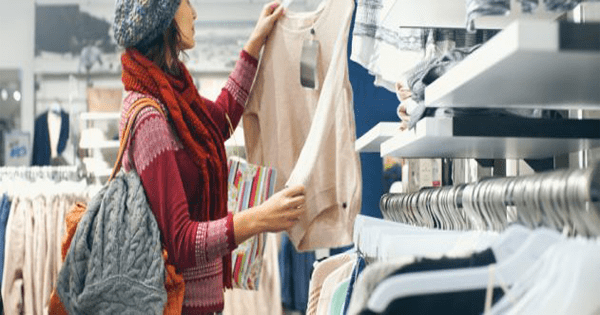 Shop with a list: Always go to the shop with a list for shopping. Stick to the list of shopping. If you shop with a list, you’ll be able to save a lot of money. 8.) Look for sale: search for discount offers and sale before buying anything. Try to buy goods in the sale to benefit from a good discount. 9.) Buy in Bulk: Be smart to go shopping for wholesale and buy in bulk. You may need some extra money to buy bulk, but it’s a good idea to save money. 10.) Cut your transportation costs: You need to control your transportation costs in a tough money situation. Try not to use a car/bike while traveling at a shorter distance. 11.) Use carpool or public transportation: You can use a carpool or public transportation to further reduce transportation costs. This will save you a lot of money for sure. 12.) Use of Control Utility to save money: Electrical bill and gas bill is today a major utility expense. Try to control the use of electrical bills by switching off unused electrical appliances and see a 20 percent reduction in utility bills. 13.) Reduce mobile use to save money: Avoid using the mobile phone to save money in a tight income situation. Wherever you need, you can call for the miss. 14.) Select more economic mobile and internet plan: Selecting more economical mobile and internet plan is another way to save money. If you don’t frequently use the internet, choose to disconnect. 15.) Plan the most efficient driving route to save money on fuel plan costs. This route may be the shortest or less traffic-conditioned route. 16.) Car Maintenance: By doing maintenance and regular checking, always keep your car healthy. This allows you to increase your mileage and save money. 17.) Skip Car Wash facility in a tight money situation to save more money. 18.) An alternative source of entertainment to save money instead of going out to the cinema, try an alternative source of entertainment, either through playing a game or reading online e-books. 19.) Plan your annual vacation beforehand: If you go on vacation in a tight income situation every year, you can either postpone it or plan it beforehand to save on transportation costs, hotel stay etc. 20.) Cancel unused memberships or subscriptions: The gym, club, magazine you don’t use to save money cancel membership. 21.) Home entertainment: Find a way to just have fun at home. Play family indoor games or play mobile games. 22.) Avoid frequent visits to hotels, cook at home, Avoid frequent hotel visits to make home food to save money. 23.) 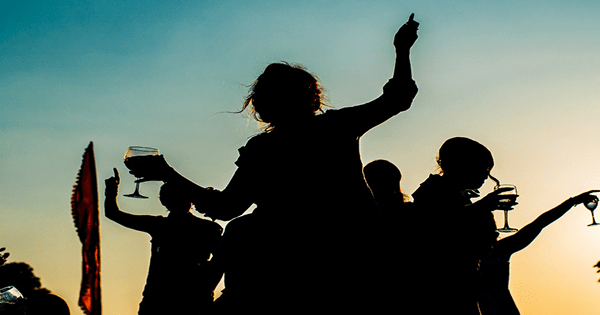 Celebrate with simplicity: In a tight income situation, by celebrating or celebrating birthday or anniversary with simplicity, you should avoid unnecessary expenses. 24.) Make your own gift instead of buying from the store to make your own gift or give a low-cost gift while you’re going to party. 25.) Walking and jogging for health is the best exercise. Avoid joining a costly gym or club trying to walk on a daily basis to save medical costs. 26.) Go Veggie: In a tight income situation, select a vegetarian diet. Compared to a non-veg diet, a vegetarian diet is less expensive. 27.) Avoid using credit card opt for cash payment Credit card money will always cost you extra credit card use and opt for cash purchase. 28.) Cigarette and alcohol are enemies of health and money to avoid bad habit. You should avoid the bad habit of saving money in a tight money situation. 29.) Changing electrical appliances to energy-efficient appliances Energy-efficient appliances can save energy. If possible, go a home for energy-efficient (energy star) appliances to save the utility bill. 30.) Try repairing broken items instead of replacing them. Another very good way to save money is to repair the broken item at low cost rather than replacing it with new items. 31.) Home laundry: You should count every penny in a tight money situation. Avoid giving outdoor laundry clothes. 32.) Shop at discount grocery stores: Changes your shopping location where there is a discount. D-mart, you can expect more discount from Reliance fresh. 33.) Newspaper expense: Cut your newspaper expense in a tight money situation and read newspaper free of charge online. 34.) Cable connection costs Give the cable TV connection request to save money. 35.) Check and swap your credit card: It is not advisable to use your credit card, but if you use one, make sure it is cost-effective if you don’t swap your credit card to save money. 36.) Pay your bill on time: Pay your bill on time in order to avoid late fees and penalties. 37.) Check your debt: Check the condition of your EMI and debt. Switch to low-interest loan by swapping the bank to reduce the interest burden to save money. 38.) Buy off-season electronic items: Always buy off-season electronic items. Instead of buying AC in winter, buy it in the summer season. 39.) Automatically start saving: Open another saving account or recurring deposit account to automatically save money. 40.) Avoid using credit card excessively to save money. We need money from dawn to dusk, day to day, month to month, and year to year in order to survive from one moment to the next. All people need food, clothing, and shelter to traveling through time, which can only reach us with the help of money. When we turn history pages we see the role that money has played in people’s lives all along. The importance of money has increased as one generation has passed on to another. Therefore, money plays a growing role in our lives and at the same time, we do not aware of the emergency situations that may come on our way. We should always be prepared to face these kinds of emergency situations without creating overburden or fall into debt by managing a proper emergency fund. This article has enlightened you a few ideas on the importance of money and how to save for daily expenses and emergency use.